We know that choosing a school is one of the most important decisions you will make for your child and family. 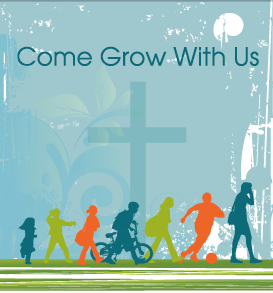 That is why our Board has developed a new information package called Come Grow With Us. This package includes a comprehensive booklet, a DVD, bookmark and postcard - all aimed at helping parents and their children make an informed choice about their education. Take a look at the package and DVD on our board website. The package is focused on providing a wealth of practical information for students in Grades 1 to 12 (there is a separate package called Getting Ready For Kindergarten for Junior and Senior Kindergarten students). We also hope the information will give you a sense of what it means to be part of a Catholic learning community.